Finally, A TWO-LANE BLACKTOP Toy | Birth.Movies.Death. Sadly, it's not a Warren Oates action figure. 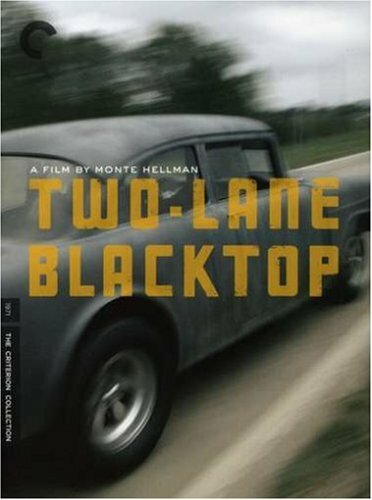 Monte Hellman's Two-Lane Blacktop is a straight up classic of the 70s. This existential road movie is one of the coolest car pictures ever made, and it acheives that without a surfeit of stunts or action - simply with the laconic awesomeness of Hellman's filmmaking, Oates' acting and the weird power of not-particularly-great performances from rockers James Taylor and Dennis Wilson. Wilson and Taylor play drifting street racers who bounce around Route 66 making money beating local chumps with the power of their 1955 Chevy. They run into a guy in a GTO - Oates, whose character is only known as GTO - and an animosity springs up. They set up a race: a cross-country jaunt from New Mexico to Washington DC, the winner getting the pink slips to both cars. 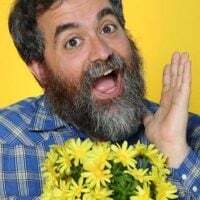 The film was a flop, but it's become a major cult classic, and it's had a big impact - the Cannonball Baker Sea-To-Shining-Sea Memorial Trophy Dash, aka the Cannonball Run, was inspired by the film. Hellman's style here presages decades of indie filmmaking. The film's naming conventions - The Driver, The Girl, The Mechanic - continue being used today. And Warren Oates is, as always, completely electric. Two-Lane Blacktop is not the kind of film that generally inspires action figures and toys, so I was stunned and excited to see that Greenlight Collectibles had made a die-cast model of GTO's GTO. It's just part of their pretty incredible Greenlight Hollywood series, a line that includes cars from films as disparate as Bullitt, Animal House, Apollo 13 and Slap Shot (as well as more obvious licenses, like Fast Five). You can click here to see where Greenlight Hollywood cars are available; they're tough to find as singles on Amazon, but I got a GTO on eBay for a good price. Thanks to Phil Nobile Jr for pointing this out! Thomas McGuane's boozy fishing purgatory is one of the great unsung character pieces from the 70s.